Nameless for years (a literal hole in a wall), this place now has a name and has been remodeled. Thank you, Tonino (really Antonio Bassetti). 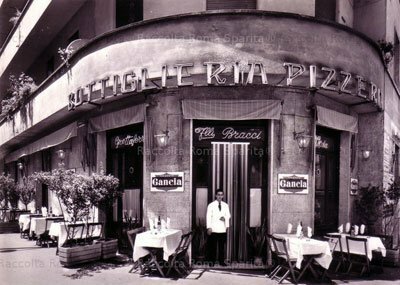 His place is among the last authentic trattorias left in Rome, crowded and noisy, with a mixture of locals and tourists. Modest portions and prices. Hearty pasta with broccoli, classic arrosto di vitello (roast veal with potatoes — or mushrooms). 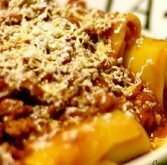 All pastas, including an excellent carbonara and amatriciana are priced at a mere €5. Rabbit, roast veal and a strapping beef stew runs €6. House red wine is cheap. Behind Chiesa Nuova. No credit cards or reservations, just show up. Corner of Vico d’Avila.